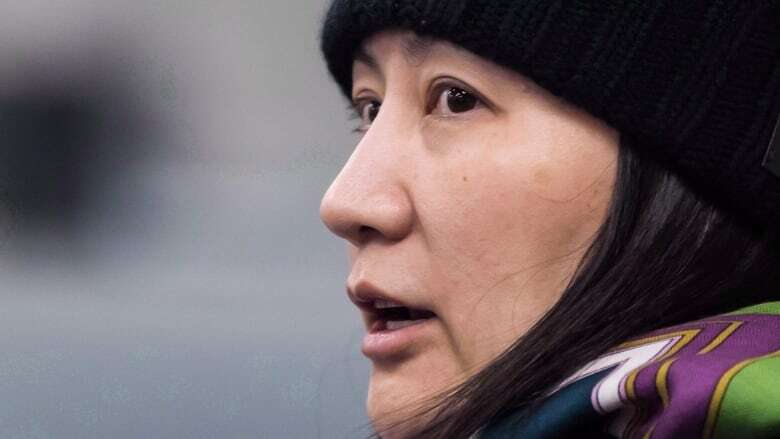 A Chinese official is accusing Canada and the U.S. of abusing the extradition system after the Globe and Mail published a report saying officials in the U.S. will soon proceed with a formal extradition request for detained Chinese executive Meng Wanzhou. A Chinese official is accusing Canada and the U.S. of abusing the extradition system after the Globe and Mail published a report saying officials in the U.S. soon will proceed with a formal extradition request for Meng Wanzhou. The 46-year-old CFO of telecom giant Huawei was arrested in B.C. in December at the request of U.S. officials, who accuse her of violating sanctions against Iran through a Huawei subsidiary. David MacNaughton, Canada's ambassador to the U.S., confirmed to CBC News early Tuesday that U.S. officials have indicated to him they will soon file the formal request needed in the extradition case. There is a Jan. 30 deadline to complete this work. Meng's case has drawn international attention and sparked diplomatic tensions between Canada and China. Chinese Foreign Ministry spokesperson Hua Chunying on Tuesday said that both countries had abused the extradition agreement in Meng's case. Anyone with fair judgment would determine that Canada made a "serious mistake" in this matter, she told a regular news briefing. She also had strong words for the U.S., saying that China strongly urges the U.S. to correct its "mistake," cancel the arrest order for Meng and abandon a formal extradition request. Asked if China would retaliate against the United States if Meng is extradited, Hua said, "China will, of course, respond to U.S. actions." She did not elaborate. The United States, however, showed no signs of backing away from its desire to have Meng extradited. "We will continue to pursue the extradition of defendant Ms. Meng Wanzhou, and will meet all deadlines set by the US/Canada Extradition Treaty," Department of Justice spokesman Marc Raimondi told CBC in an email. "We greatly appreciate Canada's continuing support in our mutual efforts to enforce the rule of law." Foreign Affairs Minister Chrystia Freeland, speaking Tuesday on the sidelines of the Davos economic summit in Switzerland, said that Meng is facing these legal troubles not because she is offside with Canadian law but rather because the U.S. is hoping to press criminal charges of its own. "The Canadian legal system is fair and impartial to everyone ... the detention of Ms. Meng is not about a Canadian case against her. She is neither charged or convicted of anything in Canada. We have an extradition treaty with the U.S., we share with the U.S. the largest demilitarized border and Canada is a rule-of-law country and we act and honour our international treaty commitments," Freeland said in an interview with Bloomberg TV. "It's a decision for the United States whether to seek extradition of someone from Canada, whether it is a Canadian or a visitor. That's up to them. Then they have to make the case for extradition in our legal system." Freeland said she would not pass judgment on the U.S. criminal case against Meng to this point — something that will have to be presented by month's end — saying it is a matter for the Canadian courts to review before authorizing a possible extradition. Freeland said a meeting with Chinese officials while in Davos is still a possibility. "We'll see," she said. 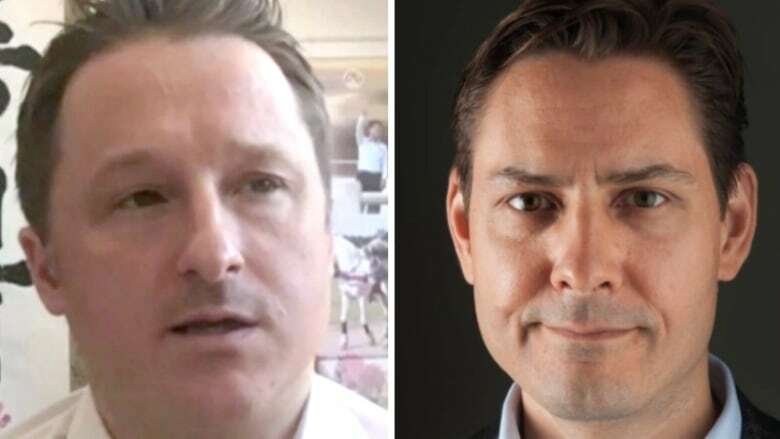 Not long after Meng's arrest, Canadians Michael Kovrig and Michael Spavor were detained in China. Officials there have offered few specifics about what they are accused of, saying only that the men are accused of "engaging in activities endangering national security." Spavor is a businessman who founded a company that arranged tours of North Korea. Kovrig is a former diplomat who was working as an adviser with the non-profit International Crisis Group. Canada's ambassador to China, John McCallum, recently said the men face up to four hours a day of interrogation and have no access to legal counsel. The federal government has been trying to rally support for its efforts to assist the Canadian detainees, making nearly 20 calls to major international leaders about the issue. The government also has expressed concern about the case of Robert Schellenberg, who appealed a 15-year sentence he was given by a Chinese court after being convicted in a drug smuggling case. After a retrial, a Chinese court announced he now faces a death sentence. Prime Minister Justin Trudeau took issue with the new sentence. "It is of extreme concern to us as a government, as it should be to all our international friends and allies, that China has chosen to begin to arbitrarily apply [the] death penalty ... as in this case facing a Canadian," he said. Meng, the daughter of Huawei founder Ren Zhengfei, was released on $10 million bail in December after three days of hearings. Her bail conditions include a requirement that she live at a house owned by her husband, and must be in that home between 11 p.m. and 6 a.m. Her bail also required her to surrender her passport and submit to 24/7 monitoring, which she is paying for herself.